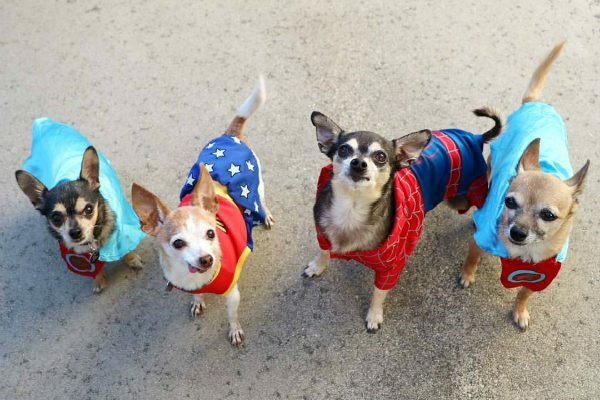 Her Instagram friends love seeing her pose as everything from a dragon to a banana, but six years ago Annie the senior Chihuahua could only play the part of a terrified shelter dog in front of photographer Emily Moncour’s lens. Emily and her mother were both volunteering at the Irvine Animal Care Center when Annie came in through the Third Chance for Pets program, which sees animals from overcrowded Southern California shelters transferred to Irvine, where they have better odds of finding a family. According to Emily, Annie’s third chance began on April 2, 2010, when an Irvine Animal Care Center staff member visited the South East Area Animal Control Authority in Downey, California. 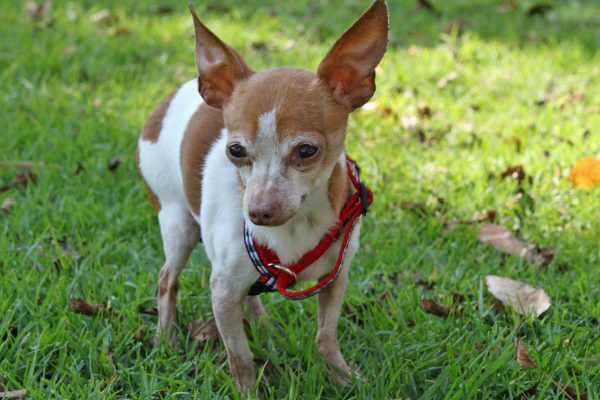 Annie wasn’t considered adoptable because she was sick, old, and not well socialized, but the Irvine staff member took her anyway, sparing her from the euthanasia list. The next day, Annie ended up in front of Emily’s camera for the first time, as Emily attempted to snap a portrait for the center’s adoption listings. Emily was trying to capture Annie in a heartwarming pose that would attract adopters, but the timid dog was not much of a model. Annie had plenty of reasons to be less than confident. She had severe ear infections, a mouth full of rotting teeth, and the veterinarian who would later spay her found scar tissue consistent with multiple C-sections. 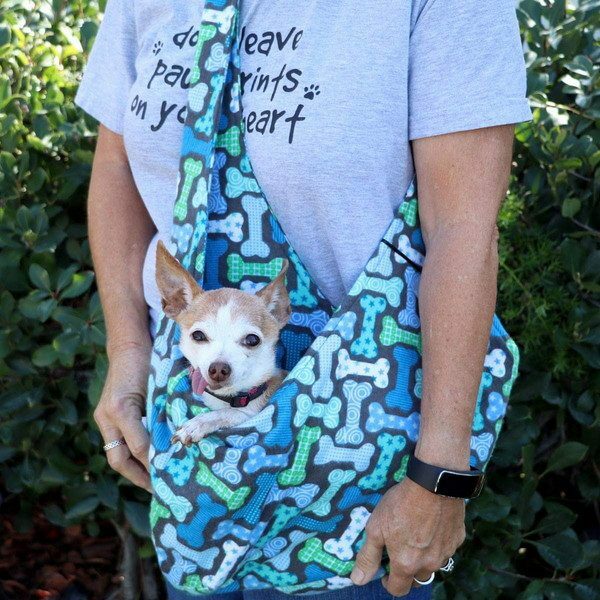 Annie’s timid nature didn’t stop Emily’s mom from falling in love with the tiny Chihuahua, and soon the two women were helping raise funds for the dog’s dental surgery. With three Chihuahuas at home already, the women initially didn’t think they could foster Annie, and arranged for Emily’s brother to take her in instead. “He fostered her for two weeks — but as soon as she had her teeth pulled, she came home with us,” Emily recalls. On August 1, 2010, Annie became an official fourth member of Emily’s pack, which included fellow rescue Chihuahuas Angus and Timmy, and Chihuahua-Terrier mix Molly, who is the namesake of the family’s pet accessory company, Molly McB. It didn’t take long for Annie to get comfortable in her forever home, initially cuddling up to Angus (who has since passed away) before falling in love with her soul-mate, Timmy. Over time, Annie began to come out of her shell more and more, and eventually she found herself in front of Emily’s camera again. 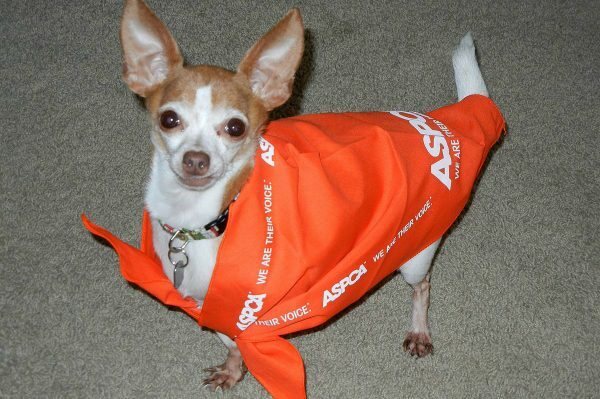 In the fall of 2010, Annie and her new pack participated in the ASPCA’s $100K Challenge photo contest, winning a $1,000 grant for the Irvine Animal Care Centre by sharing Annie’s adoption story. These days, Annie is proudly modeling for the Molly McB pack’s social media accounts. Now 14 years old, she’s toothless after two dental surgeries, and her lolling tongue is frequently featured in Emily’s photographs. Once considered unsocialized, Annie is a popular presence at the craft shows and antique markets she accompanies Emily’s mother to. The oldest member of the pack by two years, Annie recently welcomed a foster failure, 8-year-old Remy, into the pack. Thanks to Annie and the others, Emily is committed to senior dogs. “We got Molly as a puppy — I don’t want to go through a puppy again. We like the little old ones,” she jokes. The shelter photographer suggests potential adopters need to look beyond first impressions in order to end up with a model dog of their own. She says Annie proves the shy, timid dogs can blossom under the right conditions. The post Once Used By a Backyard Breeder, Annie Now Shines As a Dog Model appeared first on Dogster.